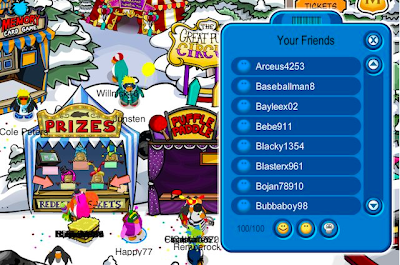 Club Penguin Cheats by Mimo777 Club Penguin Cheats by Mimo777: Club Penguin Buddy List Bugs UPDATED! Thanks! Very Much Of The Updates Mimo! HEY! this is awesome! club penguin should start making video blogs! and in that video when happy77 asked to be Billybobs friends happy77 is wearing a beta tester hat! Ananomous, I know how to get them. On your keyboard, then whatever your screen is will be recorded to the paste button. Go on your image icon (paint...) then right click paste. Hey Mimo, did you know that there is some animation type things inthe paper? For example, if you go over the yellow penguin in the car he moves! And if you hover over the box next to the white puffle it shows part of the hat! If you are going to make a post, please give credit to Waddler58705. Thanks Mimo! gone or something i cant do!! Love your website I mean Love. 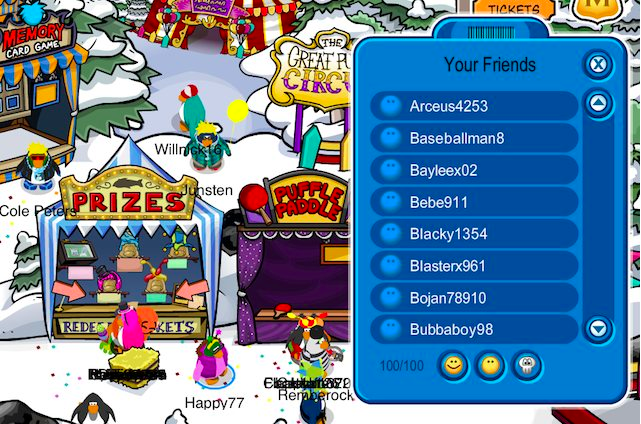 This is Icey596 I was playing puffle paddle and after I finished I pressed Tab on "done"then enter then the same thing happened as Spin the wheel it not as good but still a glitch. Also when there are a lot of people playing puffle paddle and orange box appears and says "please exit puffle paddle before exitng the game" Thanks and rock on! You can have friends anywhere. The majority of my friends are on the internet. Elsewhere I am considered a looser that has a peanut tie. Club Penguin Wont Loud Up For Me! It Wont Loud Up The Login Part! But If It Does It Says "Connection Timeout" Its Getting Me Mad! but y my buddy list is still empty until now?? are they delete all of my buddy list?